Salmon abound here in the White Bear River, even near the falls which provide a stunning backdrop for the fisherman. 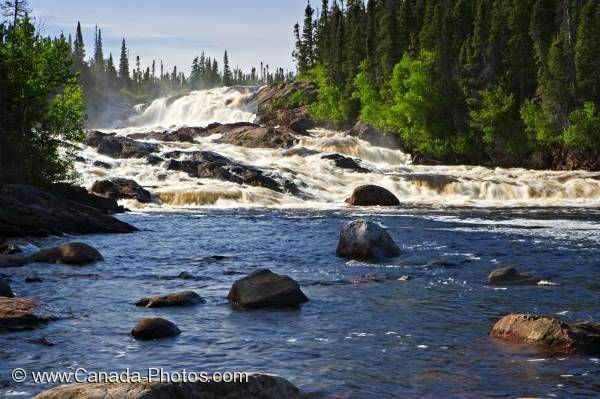 The White Bear River Falls are situated in Labrador and are a popular fishing spot for clients staying at a nearby luxury lodge. White Bear River Falls, Labrador, Newfoundland Labrador, Canada.